Recently we reported about the upcoming Samsung Galaxy S10 and the Galaxy S10+ being leaked in HD press renders. Now we have some similar images of the upcoming Samsung Galaxy S10e or previously known as Samsung Galaxy S10 Lite. 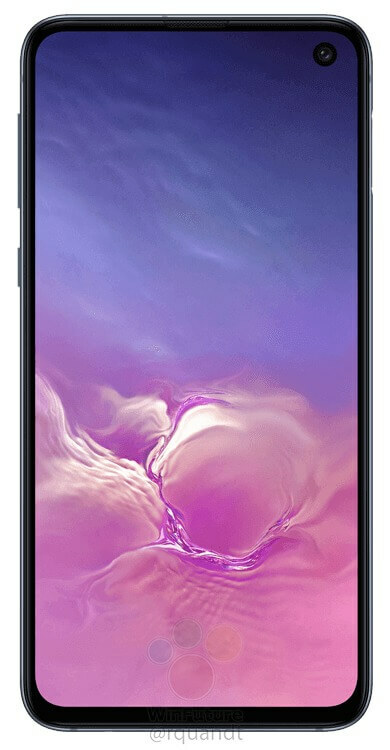 The upcoming Samsung Galaxy S10e seems to be an answer to Apple iPhone XR from the Korean giant. The upcoming Samsung Galaxy S10e is said to come with 5.8-inch QHD+ display on the front without a notch on the top. The device will come with a flat display unlike the curved infinity displays in the Samsung Galaxy S10 and the Galaxy S10+.